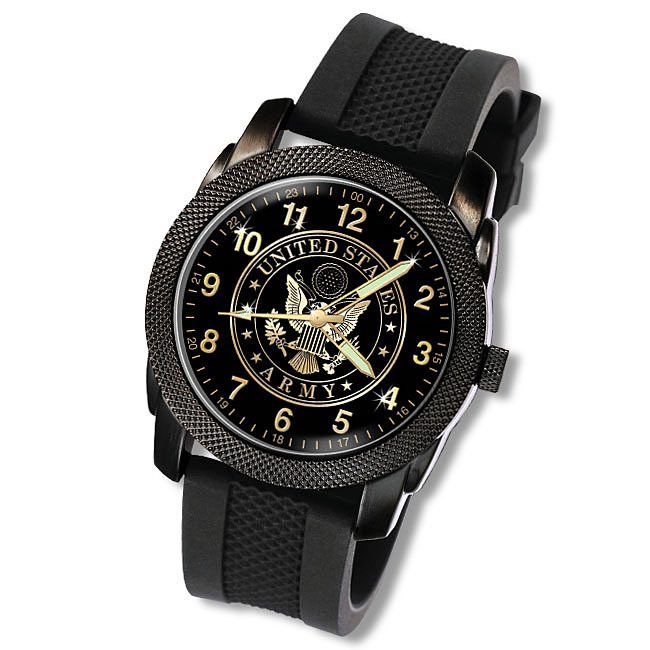 We proudly present our Official United States Navy Career Watch featuring a die-struck Navy Service Branch Emblem dial, plus your Division Insignia and “U.S. NAVY” ribbon set within the exclusive watch band. The case back will be engraved with your initials and years served. More Career Choices Shown When You Click On "Your Rank/Career" Box Above. Custom watch band is decorated with 23 karat gold and inset with special “U.S. 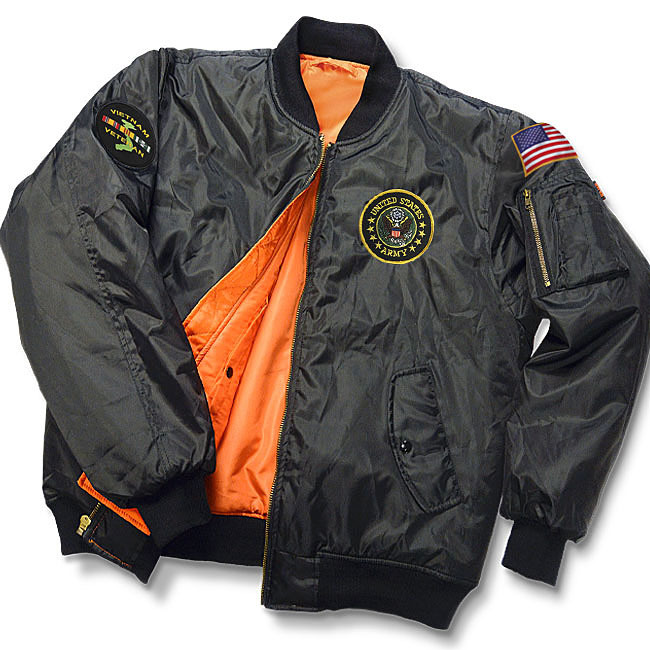 Navy” enamel Ribbon and your Career Insignia. 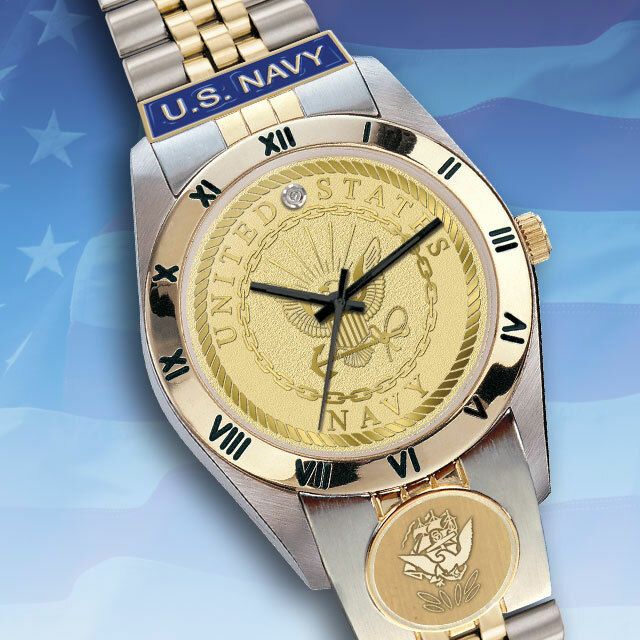 Watch dial is die-struck with the U.S. Navy Service Emblem. A genuine diamond set at 12 O'clock for a dressy touch of elegance. Precision quartz movement for accuracy within seconds per month. Water-resistant case and adjustable bracelet, both decorated with 23 Karat Gold.